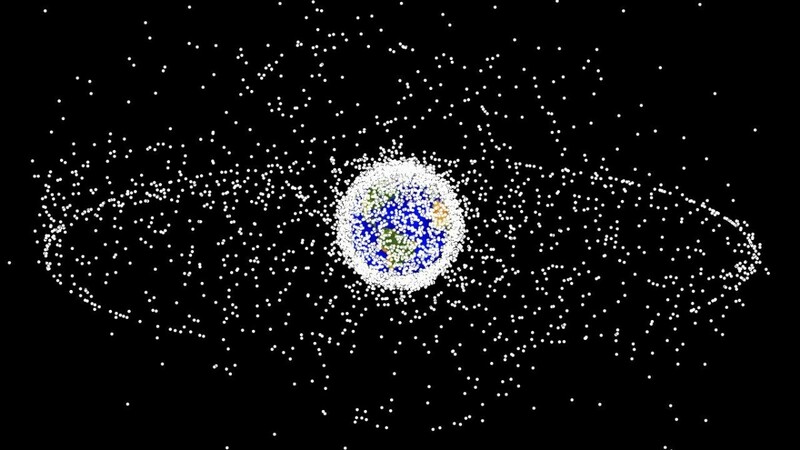 Scientists warn the man-made junk, officially designated WT1190F but nicknamed WTF, will strike Earth at about 6.15am on November 13. Much of the hollow object, which may be a spent rocket stage or paneling shed by a recent Moon mission, should burn up in the atmosphere. WT1190F, which is one to two meters in diameter, is expect to fall in the Indian Ocean about 40 miles off the southern tip of Sri Lanka. Much space junk orbits the Earth, but WT1190F is the first known piece to re-enter the atmosphere. The disruptive gravity of the Sun and Moon are thought to have kicked it into a highly elliptical orbit, far outside the Moon’s, which has put it on a collision course with Earth. An asteroid hurtling through space at 78,000mph is set to skim past Earth on Halloween. A joint US-European is to practice protecting Earth from going the way of the dinosaurs by crashing a spaceship into an asteroid, knock it off course, in a scheme right out of a Hollywood blockbuster. NOTE: WT1190F is a temporary satellite of the Earth that will impact the Earth on November 13, 2015. It was first discovered on February 18, 2013 by the Catalina Sky Survey. It was then lost, and reacquired on November 29, 2013. It was again discovered on October 3, 2015. An early orbit calculation showed that it was orbiting the Earth in an extremely elliptical orbit, taking it from within the Geosynchronous satellite ring to nearly twice the distance of the Moon. WT1190F has been orbiting the Earth as a temporary satellite since 2013 (named as UWAIS), if not longer. While it has not been positively identified with any known artificial satellites, its estimated density is much lower than would be expected of a natural object. Hence, European Space Agency astronomers have concluded that the object is likely a fuel tank of some sort. After more observations, ESA astronomers have determined that the object will impact the Earth on November 13, 2015 at approximately 06:20 UTC (11:50 local time), south of Sri Lanka. Due to its small size, it is expected that most or all of the object will burn up in the atmosphere before impacting, but will be visible as a bright fireball.